Gift tags for people who are obsessed with kitties! 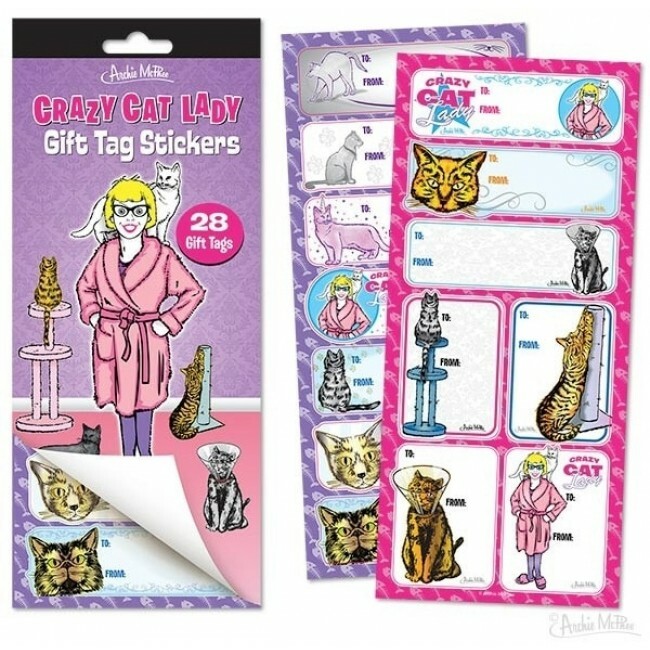 These 28 To/From stickers on four pages are decorated with cats and the ladies who love them. 3-3/4" x 9-1/2" (9.5 cm x 24.1 cm) illustrated hanging booklet.